The Ladies Fellowship meets on most Wednesday afternoons at 2.45pm and entertain a variety of interesting speakers, besides of course having the mandatory cup of tea and a chat. If you have spare time on Wednesday afternoons you will be made very welcome at any of the meetings. 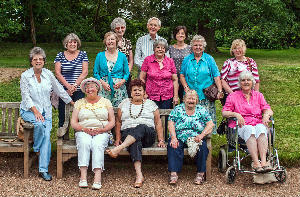 The ladies also enjoy getting together for meetings at other churches and outings too during the year.